A few weeks ago, Nintendo released an “augmented reality” game called Pokémon Go. The game has attracted millions of players and, as it did when the Pokémon trading card game debuted, it has also attracted plenty of criticism from some Evangelical pundits. The following article was originally published in 1999 by the Christian Gamers Guild. Recently the Reverend David L. Brown, Th. M., wrote an article in which he delved into the evils of the Pokémon fad and of the collectible card game in particular. We appreciate his efforts, and agree that there are dangers to this fad. However, some of the Reverend’s statements should be examined more carefully. His research into Pokémon was of necessity cursory, and he may have misunderstood the phenomenon, and the game in particular, and so made charges which could be embarrassing if repeated to someone better informed. Reverend Brown is right to be concerned about the activities of his grandchildren, but should be certain that he presents the right reasons for this concern. His history of Pokémon is fairly accurate. However, he suggests that “it is rare for a Japanese cultural phenomena [sic] to be duplicated in the Western world,” causing us to wonder how attentive he has been to cultural trends over the latter half of the twentieth century. Beginning in the 1950’s, Japan made great strides in applied technology beginning with transistor radios and magnetic recording tape. From boom boxes to VCR’s to desktop computers, it is difficult to find any part of the technological side of our culture which has not passed through Japanese hands at some point. Japan taught us to use the Walkman and the cellular phone. More pointedly, Japan took over the video game world; nearly all of the most popular video games are produced and first released in Japan, and true video game fans stay informed of the Japanese releases of games in popular series. They have also given us “Anime,” animated feature films with action and drama levels and images and themes intended for an adult audience (in the sense that popular action films by such actors as Arnold Schwarzenegger, Bruce Willis, and Mel Gibson are not for children). Anime has created an animation industry in Japan, and many of today’s popular cartoons are made in Japan for American TV, or even (like Pokémon ) made for Japanese TV and then dubbed in English for American release. And indeed, Pokémon has been coupled with a highly successful marketing effort with licenses to produce as many related products as the NFL. But I’m certain Reverend Brown did not mean to imply that Pokémon was evil merely because it was successful. Children crave and beg for whatever their friends have. We did it when we were young, and our children did it before there were Pokémon toys to want. The assault on Biblical values in our world is indeed insidious, and Christians need to be ever watchful for that attack. The Biblical advice garnered by Reverend Brown is very valuable in that regard: to hold fast to the good, and do all things to the glory of God. But when he looks at the publishers of the Pokémon trading card game, he makes several mistakes in short order. First, we are correctly told that Pokémon is produced by Wizards of the Coast, makers of the original collectible card game Magic: the Gathering and now owners of TSR, publisher of the Dungeons & Dragons role playing game. This, we are told, proves that there is a satanic agenda behind the Pokémon phenomenon, because these companies produce other games which allegedly teach cult and occult principles. This is akin to saying that Monopoly is satanic because its publisher Parker Brothers also makes Ouija boards, or that the King James version of the Bible is evil because the Church of Jesus Christ of Latter Day Saints (the Mormons) will send you a free copy on request. But the error would be even more obvious in this case had he recognized that Wizards of the Coast (in large part due to the success of the Magic: the Gathering and Pokémon collectible card games) was purchased by Hasbro. This giant in the toy and game industry owns a dozen well-known companies, including Parker Brothers and Playskool. By the “guilt by association reasoning,” we should avoid buying Playskool educational toys for our children, because Hasbro also produces Ouija Boards and Dungeons & Dragons . No, clearly Pokémon must stand or fall on its own merits, and not by our opinions of other games from the same publisher. And it should be recognized that the decision to sell the Pokémon collectible card game license to Wizards of the Coast was, from a business perspective, a very sound move. Collectible card games were invented by that company, and it is the leading producer of such games. It also has filed a patent on the collectible card game concept, and although other companies don’t regard this as a valid patent, no one wants to be the test case. Second, Reverend Brown falls into the mistake of supporting one error with another. He asserts that Dungeons & Dragons is an evil game with a satanic agenda. This commonly held belief is founded upon misinformation and disinformation, and is not universally accepted by Evangelicals even within the United States, and less so around the world. Most of those who wrote the original polemics against the game have retracted them, admitting that they misunderstood, but the error has been perpetuated by repetition. Certainly there are problems with any game; but there is also much that is good, worthy of praise, and of good repute with Dungeons & Dragons . Of several excellent resources on this matter we would particularly suggest “Confessions of a Dungeons & Dragons (TM) Addict”. 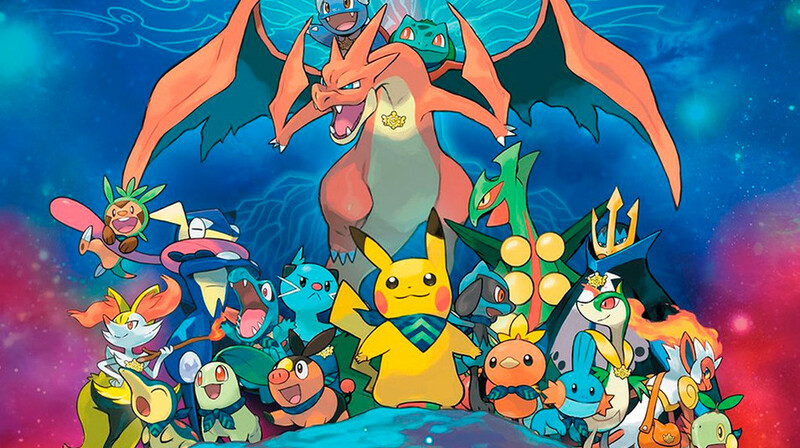 Third, Pokémon is much bigger than just the collectible card game. If Pokémon is indeed evil, it must be reflected in the toy manufacturer, the cartoon producer, the motion picture, the video games, the Topps trading cards (distinct from the collectible card game cards), and even the Burger King toys. Reverend Brown has fixed primarily on one small part of Pokémon product and condemned the whole on the basis of this one connection. Many of us have relatives who are not Christian but who dine with us at family gatherings. Many of us visit prisons. Many provide food and shelter for the homeless, including alcoholics and drug addicts. I hope that Reverend Brown has done some of these things in his life and ministry. Such associations do not stain us; and even if the named games were the tools of Satan he believes them to be, it is still a long step to implicating the Pokémon card game, and an incomprehensible gulf to the rest of the Pokémon product. But we are pointed beyond the game to the cartoon show. Here we look at the characteristics of the characters, and find that none of them are perfect people. Each has character flaws, making them more human. Perhaps it would be pedagogical to produce a cartoon show about perfect people; yet it is doubtful that such a show would ever be popular. It would be unrealistic, and people would not identify with the central characters. It is also rather embarrassing that the Reverend’s presentation lists all of the heroes and villains together, and complains that the villains don’t represent Biblical values. We would hope that our faith allows for fiction in which anti-Christian characters can be presented at least as villains; and it is unrealistic to expect that all popular fiction will have saints as heroes. Or is fiction itself inherently wrong? And if so, is it also evil to recount true stories about imperfect people who faced evil enemies? The Bible itself contains stories from the lives of imperfect and sinful people who were not always ideal role models. It is because of those imperfections that we can learn from them. Even so, the values in Pokémon are often surprisingly Christian. Animation thrives on violence (as does much of American entertainment), and has done so back at least as far as Bugs Bunny and Popeye. It is the simplest way to establish the cycle of conflict and resolution necessary to dramatic tension, especially given the limitations presented by a young audience and a half-hour show. But in Pokémon , the violence is almost entirely between the monsters. The human characters argue, and they coach their creatures in the game-like battles, but they themselves never fight. Cartoons in which this is true are few and far between. Perhaps Reverend Brown missed the Pokémon movie. In the critical battle, the famed monster Pikachu wins his fight by literally turning the other cheek. He refuses to strike back, but every time he is struck he presents his other cheek to be struck again, until his opponent is worn out from attacking. 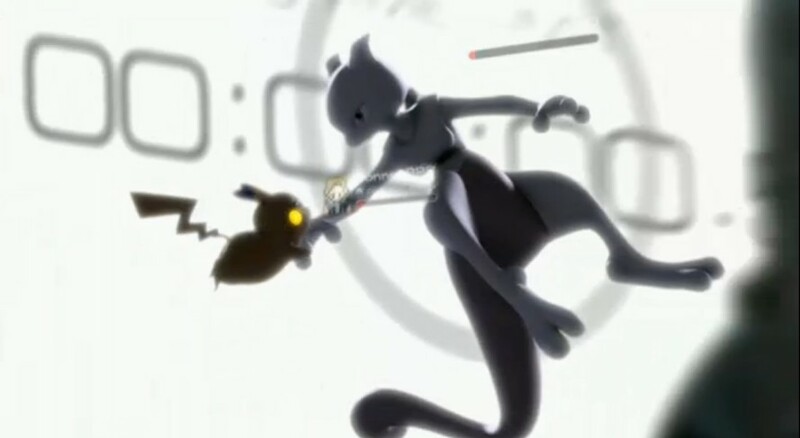 Then the character Ash leaps into the midst of the battle, giving his own life to save his friends and the world. Are these the anti-Christian principles we should abhor? Patently not. Also of concern to Reverend Brown is the slogan “Gotta catch them all.” Certainly this is a powerful marketing slogan. But calling it a “mantra” is an unwarranted appeal to emotion. Commercial slogans frequently express non-Christian values; after all, commercialism itself and the free market system (the economic equivalent of survival of the fittest) are at least suspect. The business world is driven by consumerism and an intensive effort to convince us to buy what we don’t need and can’t afford. Pokémon is a fine example of success in this area; but it is not thereby uniquely evil—only particularly successful at worldly success. The most significant danger in the Pokémon craze may lie in the fact that parents are not recognizing the dangers of materialism today. Too many adults have failed to live within their means, buying on impulse and credit what they desire; it is little wonder that our children don’t understand why they can’t have everything they want. But although Pokémon’s producers benefit from this, Pokémon is not the cause. Reverend Brown is rightly concerned about the representation of supernatural powers within the Pokémon world, and it is here where he is closest to the mark. But the source of such power in Pokémon is less clear than he suggests. The word “abracadabra” has no real occult connection. It is an early mispronunciation of church Latin never known to be used by any cult or occult groups, and is rather used by prestidigitators; even if it had occult connections in the past, it has no such connections today. The symbols cited also mean nothing. The pentagram, originally seen as having “magical” properties by the mathematicians of ancient Greece because of its internal numeric symmetry and later adopted by occultists who misunderstood that, is not more than a circumscribed star; and the star on the forehead of the character is not circumscribed. Five-pointed stars are not intrinsically evil. The so-called “Satanic Salute” he mentions is an Ameslan (American Sign Language) shortcut for “I love you”. And if the letters “SSS” on a character’s chest have any meaning either theologically or in the show, it’s lost in translation. Remember, Pokémon cartoons are produced in Japanese and dubbed in English, so the letters most likely represent the character’s Japanese name—if those squiggles are S’s at all. Perhaps Reverend Brown wishes for us to associate SSS on the chest with 666 on the forehead. This is at best stretching for the implausible. Six begins with S in English, but not in every language, and not in the Greek of the New Testament. Reverend Brown is unclear whether Pokémon power is presented as pantheistic, occult/satanic, or psychic. To his mind, the distinction is probably immaterial: the supernatural power is not specified as the power of the Holy Spirit, and therefore must be condemned. We do not know how the Reverend regards the writings of C. S. Lewis and J. R. R. Tolkien, who used sometimes ill-defined magic to encourage readers to believe in supernaturalism over materialism. But we wonder what sort of imaginary worlds the Reverend would consider acceptable. Does he prefer the enlightened atheism of Star Trek, so much science fiction, and most modern dramatic stories? Or does he expect all fiction to reflect his theology accurately? Before we criticize a show for its portrayal of supernatural elements, we must ask ourselves what kinds of worlds we may realistically expect from the entertainment industry at large. If we are unwilling to accept and indeed praise ideas which make an attempt to include more than the material world but disagree with our views, we are asking that entertainers teach naturalistic materialism and agnosticism (or atheism) as the only views of the supernatural which are not controversial. There is then a flurry of comments for which the meaning escapes us. Yes, imaginative children think about having psychic and magical powers. They don’t need games to teach them this, as they will generally include such powers in their “let’s pretend” games from a very young age. The fact that such fantasies are incorporated into marketed games only proves that the game authors remember what it was like to be young. We are told that Pokémon masters are modeled after martial arts masters (without any evidence supporting this assertion), but not why this is an objection, other than that martial arts is connected with violence. In America we let our children play with toy soldiers, GI Joe ‘s, and play guns from realistic old west replicas to high-pressure water pistols. Many of our sports and games are violent. We would do well to take a harder look at football, wrestling, hockey, and boxing than to observe that characters in a cartoon are reminiscent of the teachers of personal defensive combat techniques in another country. A rather dubious connection is drawn between the tragedy in Columbine and “violent video games, Gothic death music, and violent reading material.” No one is certain what happened in Columbine, but these vague references are scapegoating at its finest. (There is no such thing as “Gothic death music,” and “violent reading material” is vague enough that it could include The Red Badge of Courage and the history of World War II.) We hope that no one reading of the suicide of King Saul in the last chapter of I Samuel will conclude that the Bible promotes euthanasia, but have heard that very argument presented from the pulpit. All good things can be abused. We applaud efforts to focus the minds of our children on the things of God. That is not achieved by condemning good things which are less than perfect. It is achieved by remembering that although we are not of the world, we are supposed to be in the world, and we should never be so heavenly minded that we are no earthly good. Games don’t glorify God; the games which do are few and far between. People glorify God, and can do so through whatever they do, even if what they do is play games such as Pokémon . This may be duplicated in its entirety for distribution. In addition to being the Chaplain of the Christian Gamers Guild for almost two decades, M. J. is co-creator of the Multiverser game system and its supplements, and a local musician in the southern New Jersey Christian music scene. More of his writing is found in many places, but especially at M. J. Young Net and the mark Joseph "young" web log.